This week we introduced a machine learning suite of predictive marketing models, and we named the suite Ada. The suite is named after Ada Lovelace, who is considered the world’s first computer programmer. The only legitimate daughter of famed poet Lord Byron, Ada Lovelace was born in London in December of 1815. Weeks after she was born, Lord Byron left England and Ada never saw her father again. As Ada reached schooling age, her mother made the bold decision to steer her daughter away from studying arts and humanities, and instead insisted that tutors teach her math and science. Around the age of 17, Ada became friends with Charles Babbage, a mathematician and inventor. Ada worked closely with Babbage on his creation of a device known as the Analytical Engine. The machine was designed to perform complex mathematical calculations, and while it was never built, it had all the essential elements of a modern computer. In her notes, Ada theorized a method for the engine to repeat a series of instructions, a process known as “looping” which computer programs still use today. According to biographers, Ada understood the science behind the Analytical Engine just as well as Babbage, and was better than him at articulating its potential impact on society. She was fiercely intelligent and a brilliant scientist, but knew that without real world applications her work was no more than theory. Like Ada, we strive to use our understanding of machine learning, and apply it to technology that can provide tangible outcomes. We’re starting with three predictive models that help retailers unearth buying patterns, identify new selling opportunities and drive revenue all by using their existing data. 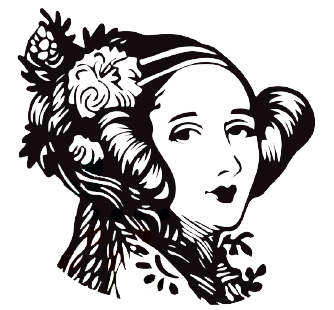 We continue to build upon the work that Ada Lovelace dedicated her life to, and hope to do so in a way that mirrors how she approached her work and life. If you’re interested in learning more about the Ada Machine Learning Suite, contact sales@quickpivot.com.